Growing up to six feet tall, sweet goldenrod is indigenous to Delaware (and much of the eastern U.S.) and is widespread throughout the state, commonly found in Delaware's coastal areas and along the edges of marshes and thickets. 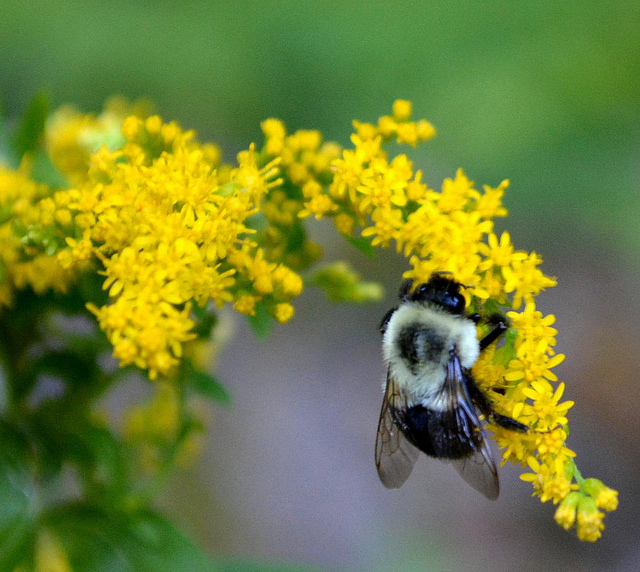 Sweet goldenrod is considered threatened in Ohio, Vermont, and New Hampshire. An aromatic, anise-flavored tea can be made from the dried leaves and dried, fully-expanded flowers; sweet goldenrod tea has medicinal properties useful in the treatment of coughs and colds, among other ailments. Sweet goldenrod blossoms are also used as a flavoring in cooking, and the root can be chewed to treat a sore mouth. AN ACT TO AMEND CHAPTER 3 OF TITLE 29 OF THE DELAWARE CODE RELATING TO THE DESIGNATION OF SOLIDAGO ODORA (SWEET GOLDEN ROD) AS THE OFFICIAL STATE HERB. "§3 l 3. State herb. Solidagu Odora, commonly known as "Sweet Golden Rod," shall be the official herb of the State."